Some information regarding Paganum’s use of ethical packaging for shipping mail order meat to customers. We think this is nearly as important as the quality of our meat and have spent considerable time and effort researching and perfecting this solution. All our packaging is environmentally friendly and uses insulation produced from pure Sheep’s wool from British Sheep – an innovative use of a truly sustainable resource. It is completely safe to use and harmless to the environment. The wool is washed, scoured and blended into insulation felt locally here in Yorkshire and then contained in a perforated wrap to prevent any fibres coming into contact with foodstuffs whilst allowing the natural sheep’s wool to breath. Ice sheets are then placed within the box to maintain cool temperatures. We actively encourage the return and reuse of our packaging but people are also finding alternative uses for our packaging including insulating outdoor taps to prevent freezing, loft insulation, pipe lagging, garden kneelong pad, feeding roses, compost, hanging baskets, insulate home brew fermentation buckets, pet baskets, cushion stuffing, keeps picnics cold, keeps takeaways hot, car cool box for shopping, the list is endless if you have an innovative use for our sheep’s wool packaging please let us know. Our delivery boxes and insulation are Biodegradable, Sustainable, Recyclable and Compostable…. 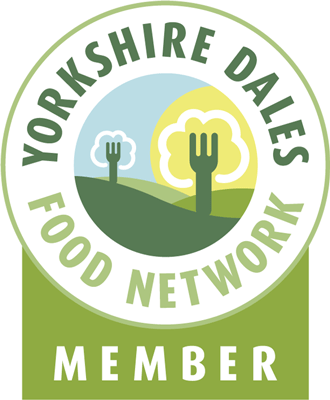 This entry was posted in Food, New Products, Yorkshire Dales Food and tagged biodegradable, british, compostable, cool, eco, environmental, felted, friendly, green, insulation, mail, Meat, order, packaging, paganum, recyclable, scoured, sheeps, sustainable, washed, wool, Yorkshire. Bookmark the permalink. Hi and yes works even better than polystyrene but you still need the ice pack of course, works out more expensive than polystyrene but the additional cost is well worth the reduced environmental impact and sustainability gains. Hi I am looking into eco friendly packaging for my rare breed pork. Do you do something i can actually wrap the meat in before putting it in the cool boxes? 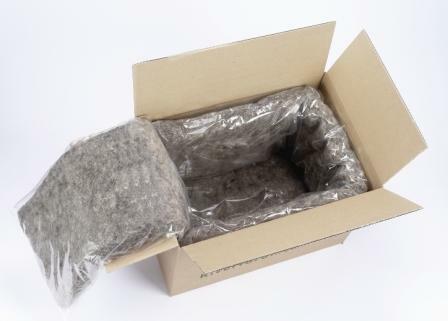 Environmental Health Food Safety usually requires you to use a vacuum pack (plastic bag) to pack the meat in before you put in the box this also stops any leakage whilst shipping but not the best eco solution.